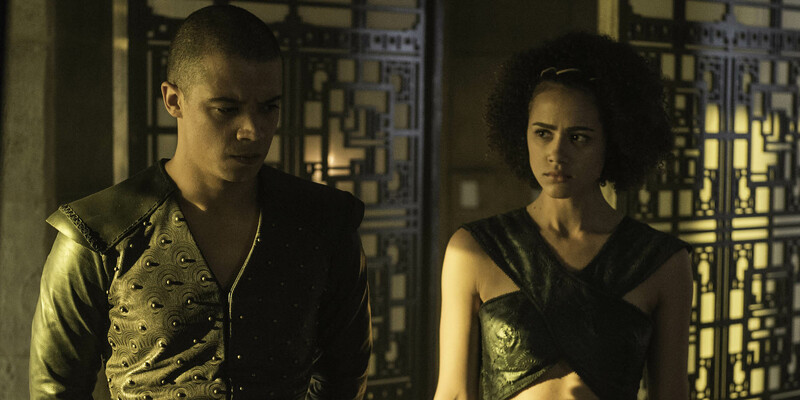 Is Missandei the Great Traitor on Game of Thrones? 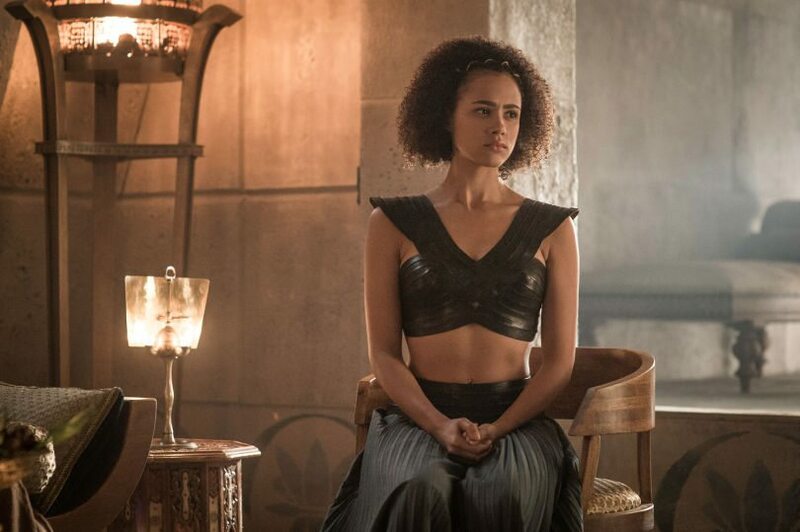 Is Missandei, long time confidante and translator to Daenerys Targaryen the “great traitor”? So while things are starting to reach a fever pitch on HBO’s Game of Thrones there are still a lot of things us fans don’t know or have been made aware via the show’s narrative. Like a decent backstory for Missandei. Who is she? Where did she come from and what’s her goal with showing loyalty to the Mother of Dragons? 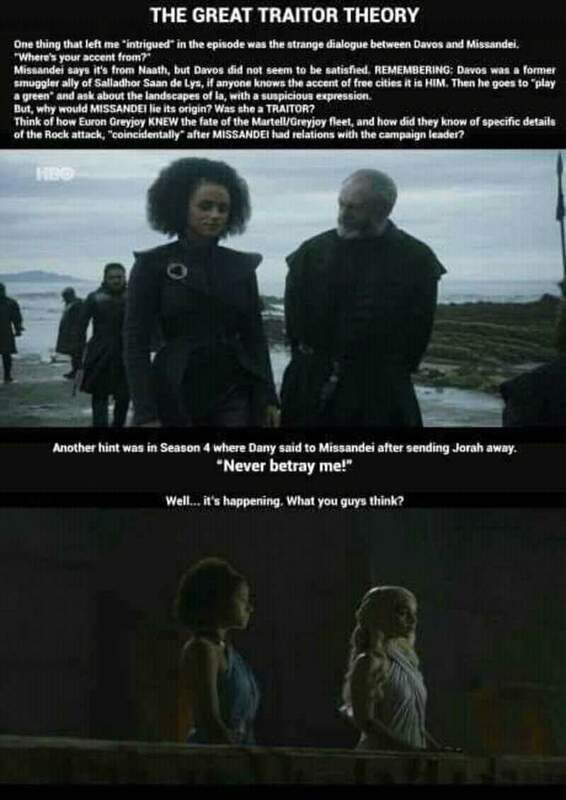 A recent meme (or should I call it an infographic instead) gave some very subtle clues into the link between Missandei and the would-be “Great Traitor”. Its interesting to note that the line of questioning came from Davos who has been winning when it comes to wise decisions in the hit HBO series. He’s survived because he’s asking the right questions. It could be for himself or it could be for the king he’s currently serving. Hey, the dude’s not dead because he respectfully questioned now-dead Stannis Baratheon at every turn. As for Missandei played onscreen by the lovely Nathalie Emmanuel, she’s definitely hiding something. Its not revealed but it could tie in with how most of Daenerys’allies have fallen four episodes after that awesome season 6 finale. Could she be buttering up Grey Worm as well? The dude pretty much admitted that Missandei has become his weakness too before consummating their romance. I find it plausible but highly unlikely because she’d be a master manipulator to be where she was at the time Dany conquered astaphor many seasons ago. Unless ofcourse she’s not working by herself. Let’s all see as we still have three more episodes for Game of Thrones season 7 and one full season next year.